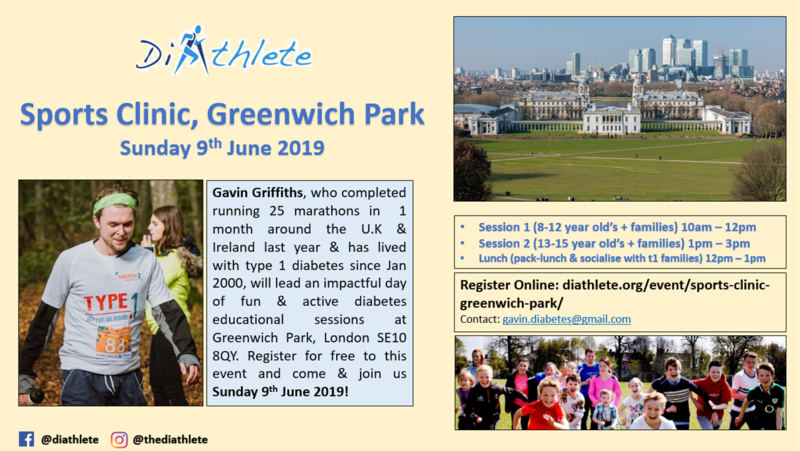 Come & join us on Sunday 9th June 2019 for a DiAthlete Sports Clinic in London’s Greenwich Park. 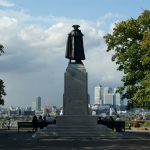 Meet point by the General Wolfe Statue at the top of the hill: by 9.45am for families with young type 1s aged 8-12 participating, and arrive for midday 12pm for families with teens aged 13-15 living with type 1 to join us for a social packed lunch picnic and talk by Gavin, before the teen session begins at 1pm. This workshop is free to attend & kindly supported by Abbott Diabetes Care. Please register here to confirm your attendance – and include the age of your child next to your name, so we know which age category you will be joining.